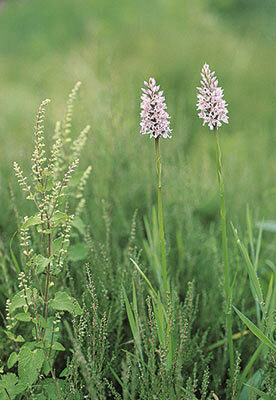 Common Spotted Orchids are common, but they are never commonplace. These two were growing amonst Heather on what was once Edgefield Heath. They make a very striking image, and deserve the full page they get in our Orchids of Britain and Ireland: A Field and Site Guide.